Hello , Os Windows 8.1 , 64 bit I removed the old LibreOffice_6.0.6_Win_x64 from windows. 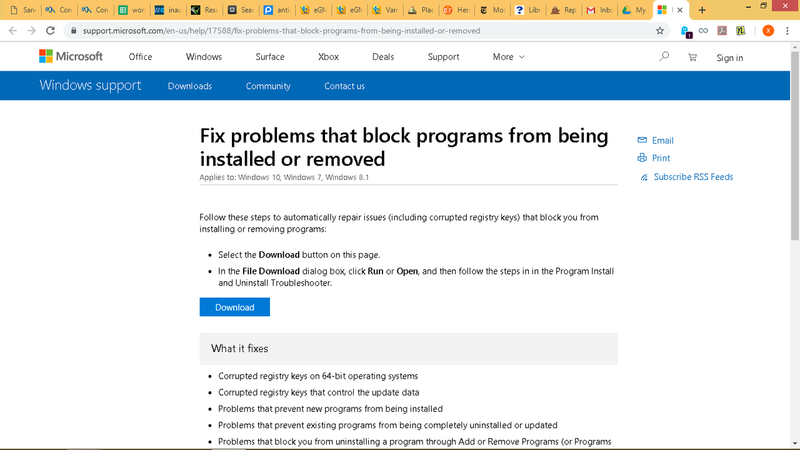 The latest version LibreOffice 6.1.4.2 not installing on windows 8.1 I had disabled the Windows Defender app from settings. 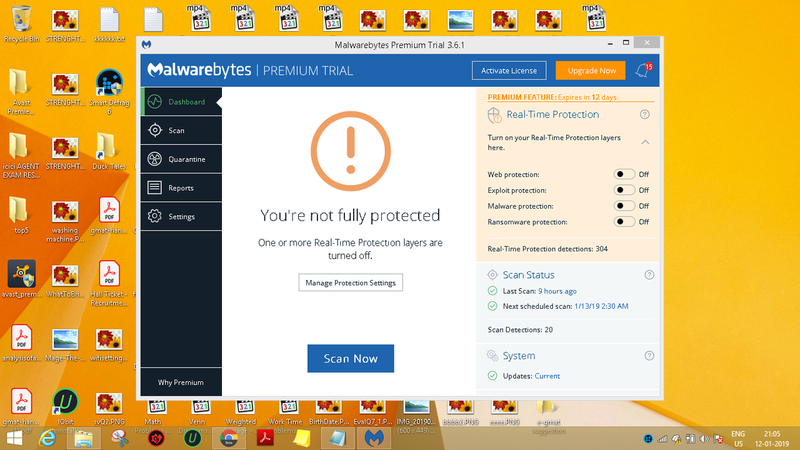 Used MalwareBytes to check the Unwanted virus but the screen freezes in installation process for 30 minutes. as shown in the following images. 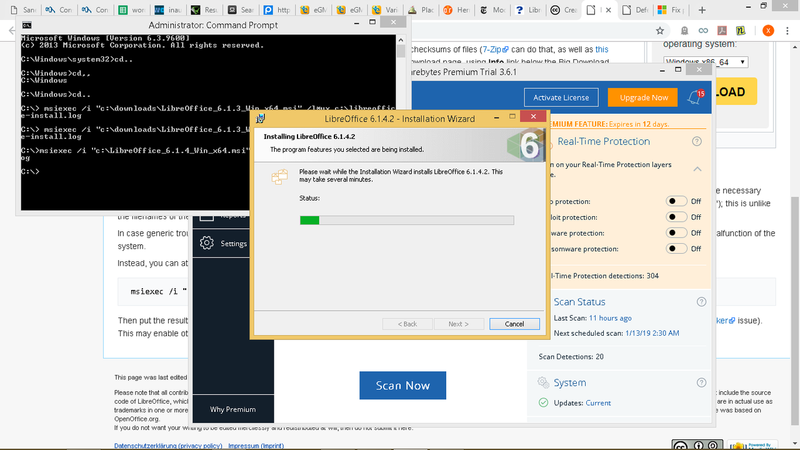 In case of older LibreOffice_6.0.6_Win_x64 installs easily. Please suggest some workaround. Can u tell me how to Submit the Log file ? Thanks. Hello Thank you for reply. The reason to make the log file is after windows tool was https://i.postimg.cc/fLRXhBby/windowtool.png run there was no trace of LibreOffice in the list, in the registry no entry was made. In your log, the installation of KB2999226 using Windows Installed never ends. The "InstallMSU" action starts, and its last report is that it has successfully started "C:\Windows\system32\wusa.exe" (see ln 66380), which is not followed by any result returned from it. Please look at your Windows Event log, to see if any Windows Update-related problem reported there. The Event viewer was not working previously. I will start the services and try again. Thank you for reply. I am having this same hang issue with 6.1.4.2 - hoping to find an answer here. Hello Everyone , Thank you for viewing this Question. in Windows Event viewer was corrupted and installation was failed. 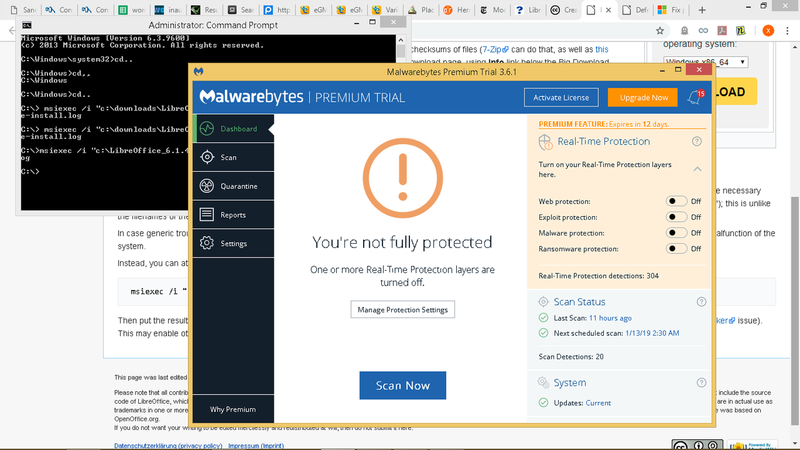 Windows defended was disabled previously.Now, I had downloaded latest version LibreOffice_6.2.0_Win_x64.msi that worked. The Icons are bigger and more attractive than previous versions. Please install the latest version that installed smoothly.